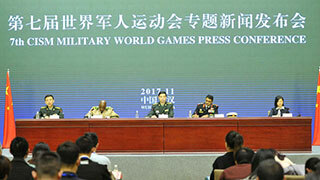 China's Ministry of National Defense held a special press conference on the 7th CISM Military World Games in Wuhan, capital city of Hubei province, on November 24, 2017. 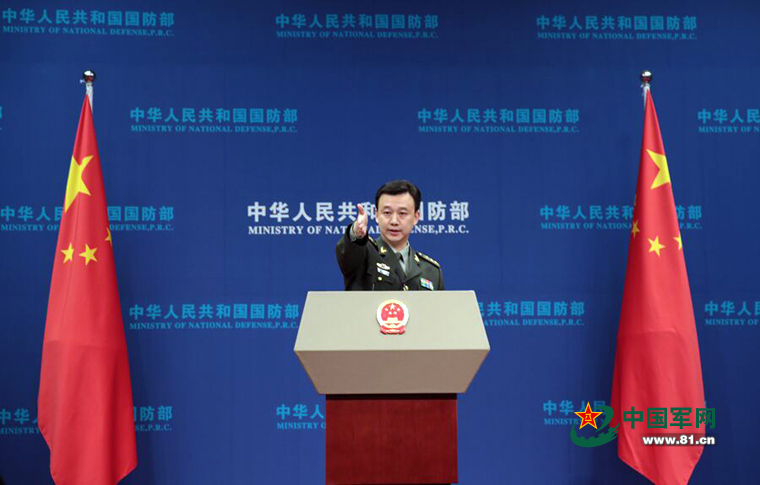 The Defense Ministry's Office for International Military Cooperation held a briefing Monday for foreign military attaches to China on the Belt and Road Initiative. More than 60 military attaches from more than 50 countries attended the briefing. A total of 40 female officers from 26 countries received certificates Friday for completing a peacekeeping training program jointly sponsored by China's Ministry of National Defense and UN Women. 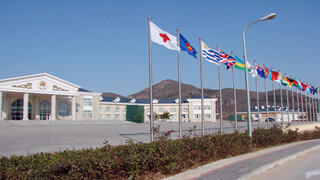 Ahmet Üzümcü, Director-General of the OPCW, and Sheikh Mohammed Belal, Chairperson of the OPCW Executive Council, headed a 23-member delegation comprising ambassadors from 18 countries to the organization to visit China from June 11 to 16. 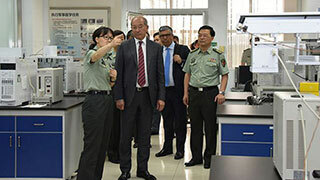 A group of foreign reporters in China visited the Peacekeeping Center of China's Defense Ministry on Monday at the invitation of the Information Bureau and the Peacekeeping Affairs Office of the Ministry. 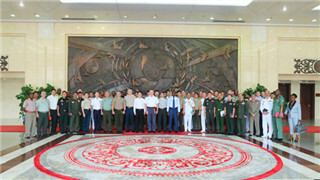 Defense Minister of Bosnia-Herzegovina Marina Pendes met with Rear Admiral Guan Youfei, director of the Office for International Military Cooperation under China's Defense Ministry, and his delegation in Sarajevo, capital of Bosnia-Herzegovina, on August 16. China's MND held a special press conference to introduce the adjustment and establishment of the CMC's new administrative organon on January 11. Chinese President Xi Jinping on Monday urged leaders from all departments of the Central Military Commission (CMC) to hold high demands for themselves and impose strict self-discipline to set excellent examples for all servicemen. China has reorganized its four military headquarters -- staff, politics, logistics and armaments -- into 15 new agencies under the Central Military Commission (CMC). President Xi Jinping has urged the reorganized organs of the Central Military Commission to focus on winning wars as their central task. President Xi Jinping met with department leaders of the restructured CMC organ and expressed his warm congratulations on the establishment of the new CMC organ on January 11.